Remember this one?! My amazing tester, Lianne made this one. What a dear person, as she worked on it during a very trying time in her life. When she finished, she was a bit uncertain what to do with it. Wanna see what that brilliant girl came up with? Is that not the most adorable idea ever?! The ties are so cute! I had someone say it was too cute to put your bum on! I disagree! 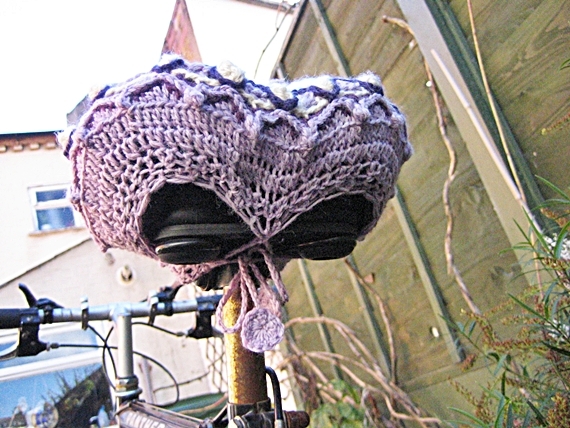 And now she can ride more comfortably on her stylin' bike! If you would like to check out her whole range of talents, Lianne has an Etsy shop called Bertha's Bizarre Bazaar. I have four new patterns now on my hook. I seriously need my ADHD to take a break and let me finish just one thing! That's all I ask. Just one thing. Focus, Sue. Focus. You can do it. What was I saying? Oh, yes. Focus. Linking up with My Merry Messy Life. Awww, Thanks, you really are too kind! You know I so enjoyed testing this pattern for you and i definitely need to make some more! I think the first cab off the rank will be one in a rainbow colour scheme in honour of my Mum. 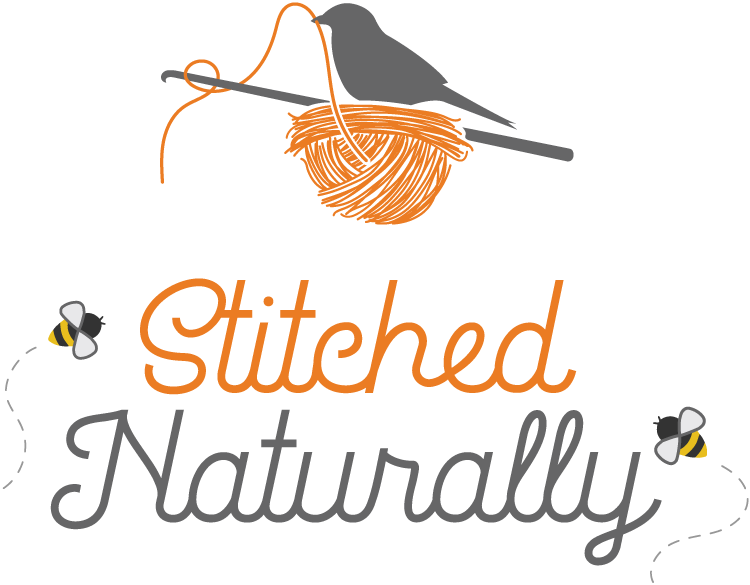 I haven't used a pattern in Sooooooooo long and it's really great to have found a new friend by diving into something I've never done before (pattern testing)and also to have discovered the joy of following a really well-written pattern! 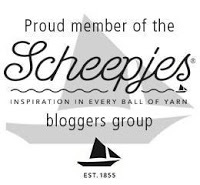 One of my favourite things about crocheting is the way we inspire each other and fire up our fellow crafters' imaginations! 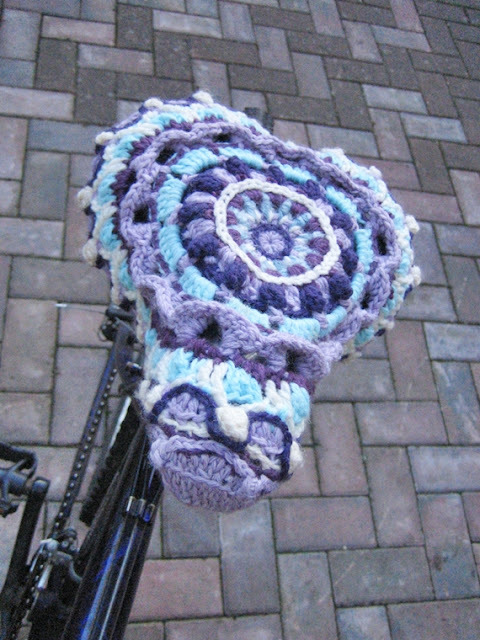 I love that riding your bike reminds you of your Mum--especially since she bought you the new saddle! 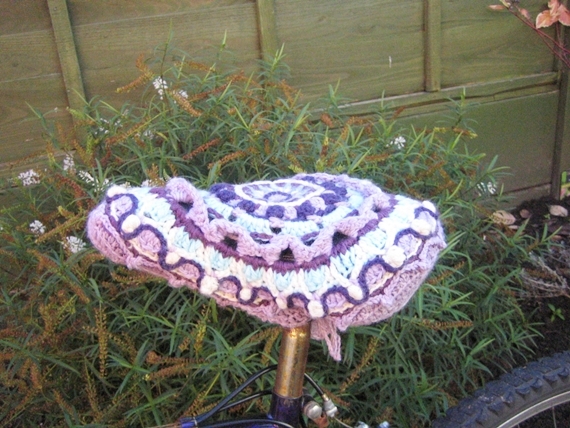 Do you think we could collaborate on editing the mandala pattern to include the bike seat cover? I totally agree about the sharing inspiration thing--so cool to see what folks can do! If you want the taco soup recipe--I'll send it your way! Super easy--my favorite way of cooking! Thanks, Sara! I'll link up to the new week! I should have noticed! Welcome!! Happy to have you here! !